A POS or “Point of Sale” system refers to the software and hardware used by a business primarily to record sales and track inventory. The potential benefits of a POS have grown far beyond just that however, and a POS software will typically have a raft of industry-specific features. Nowhere is that more obvious than in the restaurant industry. 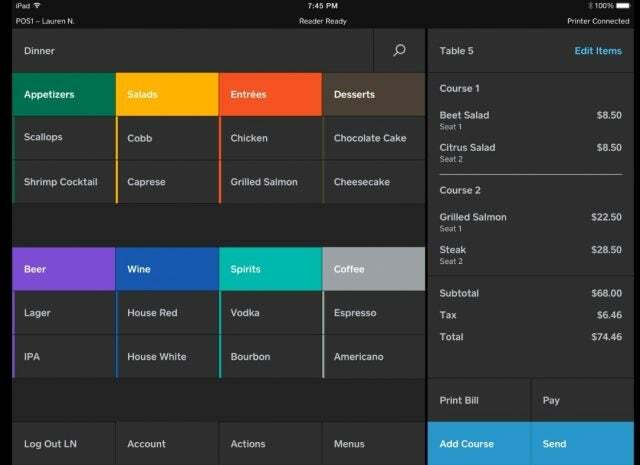 Tech.co’s top-rated POS system for restaurants in 2019 is TouchBistro. Built for restaurants from day one, TouchBistro offers flexible functionality and strong staff management features. Read on for everything you need to know about the best restaurant POS systems available today. Why Do You Need a Restaurant POS? Our full reviews are a little farther down the page. But first, here’s a quick bird’s eye view of all the best restaurant POS systems in one place so their price, ratings, and specialties can be easily compared. Some of the POS systems mentioned on this page were designed specifically for restaurants. Others have added a dedicated restaurant edition to their main POS offering. The one thing they have in common is they’re all deserving of being named one of the best restaurant POS systems on the market. Continue scrolling for more detailed reviews of each restaurant POS vendor, or click on the names above to jump directly to the vendor you’re interested in. As the name hints, TouchBistro was envisioned as a restaurant POS from the very start. A versatile interface and strong inventory/staff management options make this a feature-rich restaurant POS bolstered by its support team and price tag. 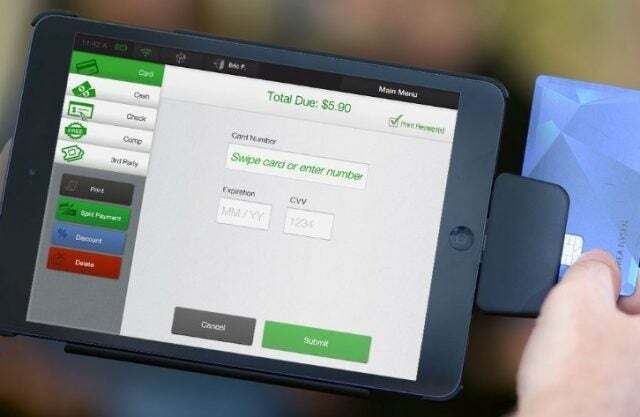 There’s a reason the TouchBistro app is one of the most well-used and well-loved restaurant iPad POS systems for service workers: Its support team, cost-efficiency, and raft of features are among the best around. This is a good pick for a quick-service or mid-size restaurant that wants tableside iPad service wrapped into a high-quality POS service. Toast POS supports Android tablets and phones and does not support iOS, for those Android lovers who are tired of seeing the word “iPad” on this list. 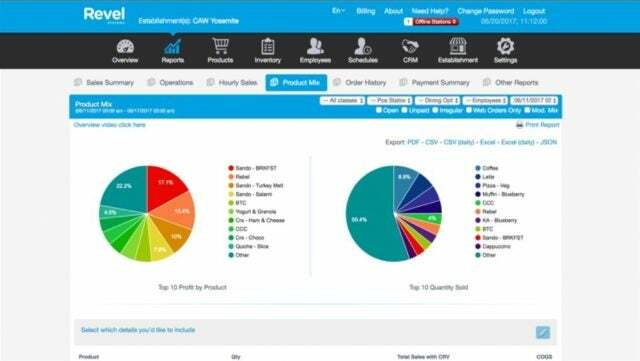 Better still, it wraps up all the needed features into an easy-to-understand interface: Sales, billing, inventory, layout management, analytics reports and loyalty programs are included. With a streamlined interface that works for service staff and managers alike, Toast is a great choice for those who want a simple well-priced POS that does the job. Thanks to the support team and the offline, battery-powered mode, this POS can keep working seamlessly even during power outages. Here’s your fix for the notoriously fast churn in the service industry: Lavu has great management options for onboarding and training new employees, streamlining a tough but essential aspect of running a business. Notable features include centralized menu, layout, and inventory management. You’ll Lavu it. Lavu’s support team is available 24/7 on chat, email, or phone, making their onboarding process as pain-free as they’ll make your restaurant’s. 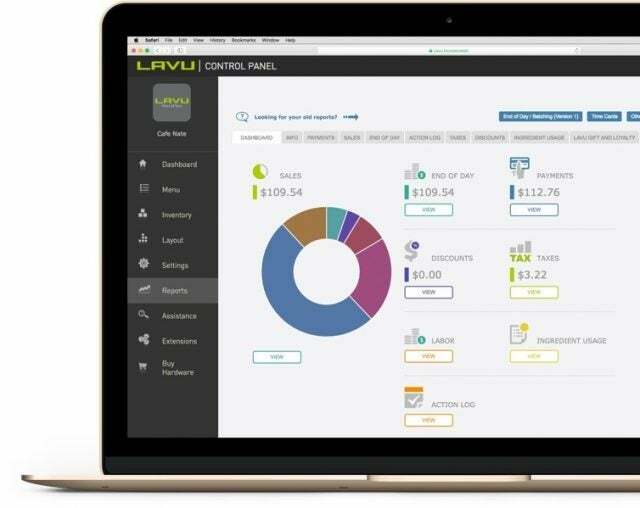 The “Lavu Control Panel” lets managers quickly crunch data to reveal metrics surrounding menu updates, inventory needs, and staff scheduling. And an open API makes adding third-party applications far easier than with the majority of restaurant POS systems. With dedicated solutions for table service, counter service, bars & lounges, coffee shops, bakeries, and food trucks, Square is a common name in quick-service restaurants. While Square’s restaurant POS service costs a low $60/month, it also charges 2.6% + 10¢ on each transaction. A high-quality POS with strong support and a low price: It’s no wonder Square is one of the dominant POS systems on the market today. While Square sells plenty of hardware accessories, managers can opt for the software-only version to turn their existing iPads into quick-service devices at little cost. A large library of integrations helps this iPad POS stand out as one of the more flexible restaurant services. Third-party apps can be easily plugged into Lightspeed, allowing customers to add features like loyalty programs and employee scheduling or letting customers tailor their POS to even more specific industries including hotels and ecommerce. 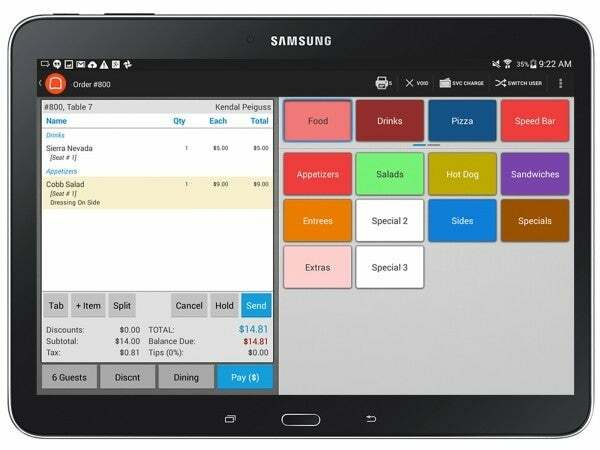 Tableside service and good management options make this a strong POS even before considering the available integrations. Lightspeed is a leader in the POS industry, and this is a scalable option for managers of any venue size and layout who enjoy knowing they have, or can integrate, a feature for every need. 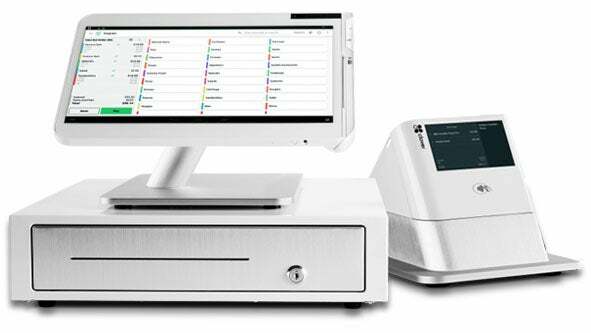 The Revel POS is designed to be a full restaurant POS system, managing finance and accounting in addition to sales, inventory, and staff. The company also offers dedicated solutions for bars and nightclubs as well as a pizza delivery-specific software that schedules and dispatches drivers. The Revel POS is a restaurant POS system to do it all, managing finance and accounting in addition to sales, inventory, and staff. The company also offers dedicated solutions for bars and nightclubs as well as a pizza delivery-specific software that schedules and dispatches drivers. Restaurants with a healthy online customer base need a POS system like Clover, that can handle online orders and delivery management. Clover also offers useful online integrations such as newsletter service Mailchimp and ecommerce company Shopify. Their suite of customer engagement features includes contact lists with options for promos, rewards, and private feedback. Businesses with an online audience or those hoping to build one should consider Clover POS, though they’ll have to contact the company for a custom quote. In-person customers will be well-served through the service, which includes contactless payment in its hardware options. 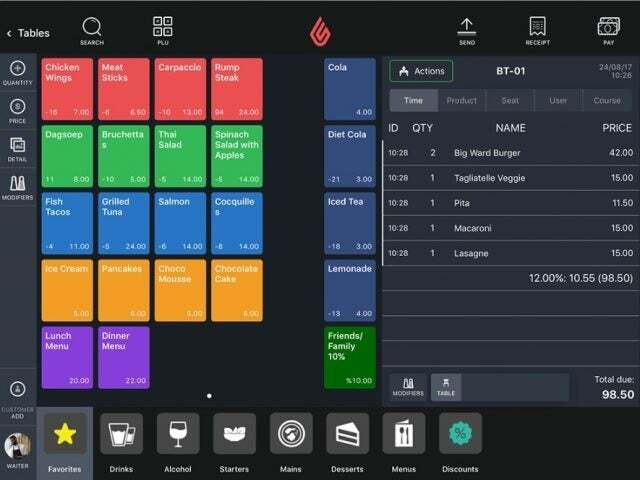 Shopkeep offers both iPad-only quick-serve systems and full restaurant systems, both of which have nicely designed, intuitive mobile app options. Even managers operating multiple locations can see it all from their phone. 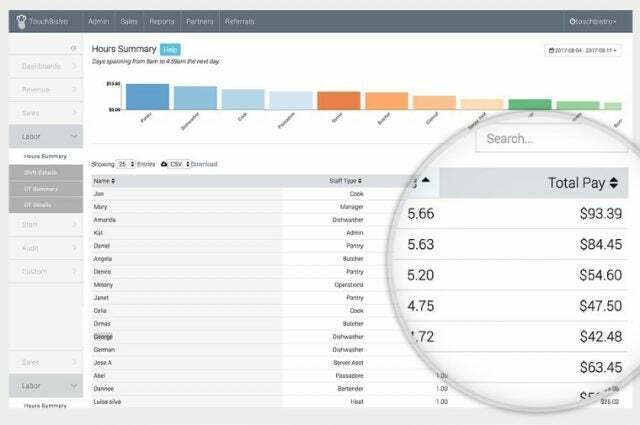 Features that are covered with both systems: Sales, ingredient inventory management, staff management, research reports, email marketing lists, and menu customization. ShopKeep stays simple: It offers the essential POS features needed to run a restaurant business and packages them in a streamlined mobile interface. The price, lower than most POS software services in the restaurant business, is also a big selling point. 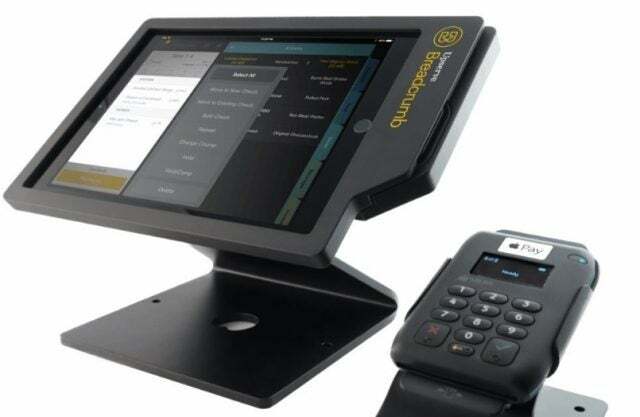 Restaurants on a tight budget with plenty of tablets or phones on hand should consider ShopKeep. A Guest Manager iOS app can be added to Cake’s basic POS software in order to allow online order management. Even without it, those with reservations can receive text alerts when their table is ready, potentially allowing them to hang out at a coffee shop next door while they wait, rather than ditch your restaurant. While the price tag is higher than most POS offerings, it includes leases for a terminal, printer, card reader cube and cash drawer, in addition to round-the-clock support and, of course, the software itself. 24/7 support, security features, and an online staff training hub are included as well. Those in need of a full-service POS system that handles reservations nimbly should consider Cake. Breadcrumb’s feature-rich POS offers plenty of options that other POS systems don’t always have, including a training mode, offline functionality, bill splitting options, online order management and tableside ordering, in addition to sales and inventory tracking. As its foodie name implies, it’s designed by restaurateurs themselves. However, the $99/month Core service plan doesn’t offer some important features (notably inventory management and online ordering), and owners must pay the $249/month Pro plan to access the advanced features. Breadcrumb, available from Upserve, offers a support team constantly at the ready, and its broad variety of features make it an attractive option for quick-serve or full service operations. Any managers who can handle the price tag should find their daily needs well managed and optimized through this POS. Why Do I Need a Restaurant POS System? A good POS system will help any business thrive and grow, providing accurate and important data to base decisions off. But a restaurant will benefit especially from an industry-focused POS System. Any business records sales, but a restaurant must also be able to accept reservations and know which orders were placed from which table. Any business tracks inventory, but a restaurant must track the amount and cost of the ingredients used in each dish, in addition to the amount and cost of the orders that are placed. The bottom line: A good restaurant POS centralizes all the processes of a restaurant, bar or cafe, allowing the manager to improve on what’s working and fix what’s not. It will pay for itself and then some. 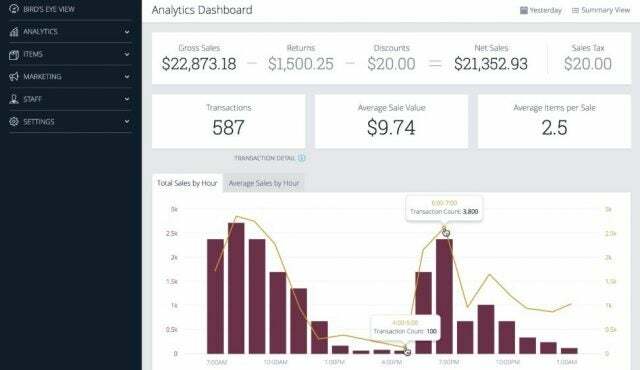 What are the Top Restaurant POS Software Features to Look for? While the best restaurant POS systems might include a handful of unique traits, they should also accomplish an array of the following top features. While the features above are important to consider when picking out a POS for your restaurant, you should go beyond just the features. The best restaurant POS systems are also cost-effective, well reviewed, easy to use, and come with a professional customer support team. Do I Need to Buy Restaurant POS Hardware Accessories? While the software powering a restaurant POS is the main element of a POS system, hardware is important as well. Here are some of the best physical POS accessories that will make your daily chores more manageable. Touchscreen display — Quicker and more portable than a desktop computer for running software. iPads are most common, though other tablets or smartphones can be used as well. Card readers for iPad — Cash tills aren’t enough any more. Tiny card readers the size of a quarter can be plugged into an iPad’s headphone jack. They’re often sold by POS vendors and might be included in a POS package. Larger countertop versions come as “cubes” rather than portable readers. iPad stands and docks — A stand, typically designed to swivel so that customers can easily sign their bill, is a must. These are also usually sold by specific vendors. Self-Service Kiosk — A larger stand, a receipt printer, and a large card reader can all serve as a kiosk for customers to check their orders out by themselves, cutting down on employee busywork. Power supply — Don’t expect your iPad battery to outlast your customers: Invest in compact portable chargers. Not every restaurant POS system is equal, and even a POS that offers all the right features might not be right for your specific business. Here are a few factors to consider, some of which you won’t find on most POS websites but remain relevant to your decision. Your customers — The demographic of your audience determines what type of POS system they will embrace. Age — Older customers might not understand or care about options like contactless payment or QR-code coupons. Social expectations — A quick-service location might have a self-checkouts option, but a higher end restaurants would never give their servers iPads. Digital adoption — Silicon Valley is packed with early adopters who want all the options, but restaurants on the Rust Belt can stick to a more compact POS with fewer features. Customers with disabilities — A self-serve station might seem easier than an in-person order system, but might not be an accessible option for those with poor eyesight or limited mobility. Your budget — Don’t overextend your business, especially if you plan to pay up front. Your size — A single food truck and a sprawling restaurant have differing needs: The larger your restaurant, the more important your POS communication features become. Future growth — As your total orders, order stations, or restaurant locations grow, the cost for your POS system will grow, even though the features it offers likely won’t. Choose a system that will be ready for your future needs. The restaurant POS industry charges per-month costs that vary depending on the number of terminals and locations, and whether you’re only using software or need hardware as well. Typical POS prices start at between $69 – $99 per month for a single terminal. Quick service venue, mid-size business, or large layout? Number of POS terminals needed? Next, you’ll need to reach out to the right POS vendors for a customized quote so you can compare the prices. For a quick one-minute jumpstart, try TechCo’s fast and easy quote collection form.